"Sushi the cat needs your help in this platform game!" Game Goal: Help the kitten get into the golden box by completing different levels with obstacles that will complicate your journey. 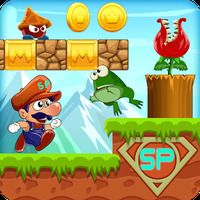 How to Play: Make precise jumps to reach the brown boxes until you make it to the gold one. But make sure you make it to a box or you'll have to try the jump again. Graphics: It has minimalist designs but emphasizes the fun animations of the kitten. Controls: Play with the touch screen. Simply calculate the direction and power of the jump. Although the difficult part is trying to catch stars while you try reaching the box. Some levels can be quite complicated. 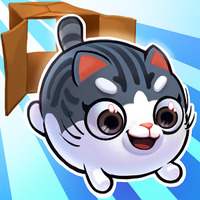 Do you like Kitty in the Box 2?